a. Rifles and M16 and M16A1. Rifle w/flash suppressor 39.625 in. Barrel with flash suppressor 21 in. a. Is gas-operated. It fires in either the automatic or semiautomatic mode. b. Has positive locking of the bolt. 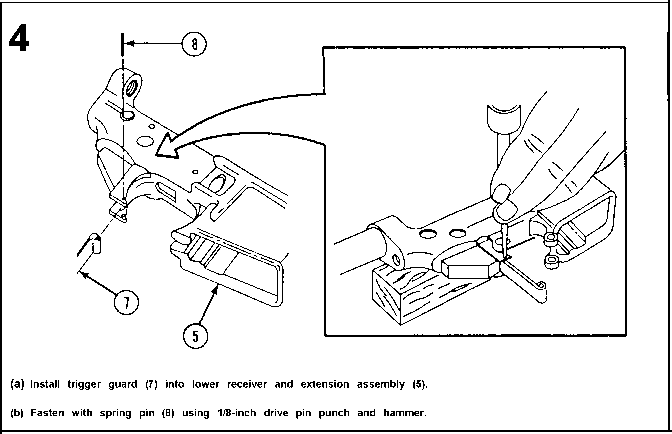 Firing pin is part of the bolt and carrier assembly and cannot strike the primer until the bolt is fully locked.